Are you or someone you know looking for a dependable automotive repair shop? Has your vehicle seen better days? It might be time to replace it. People’s Auto LLC of Somers, Conn. is here for you. We offer comprehensive repair solutions, as well as used car sales at competitive pricing. Since our establishment in 1978, we have provided fair and honest work to our customers. Dave Doyker is the owner of People’s Auto LLC and has the experience a family owned and operated business needs. We customize your work and tend to your vehicle until the job is done right. Contact us today for the automotive experience you deserve. You’ll be glad you did! At People’s Auto LLC, we are devoted to achieving satisfactory results the first time around. 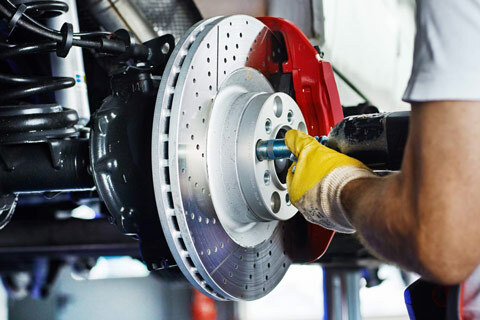 Whether you need a tire replaced or brake repairs, we employ skilled and friendly mechanics to get you back on the road. All of our mechanics are ASE Certified so you can rest assured your vehicle is in good hands. Some of the greatest car service in the state of Connecticut. People’s Auto has always been friendly and accommodating, They are extremely knowledgeable and dedicated to first class customer service. Consider me a life long customer. With me, the trust factor is huge w/auto repair. These guys do what they say they will do in the time they estimate and often give you the good news that the repair was less costly than what I’d expected. They’re the best. Dave, Frank, Mike and Jim are awesome. The trusted mechanics you want to take your car to, and have peace of mind that you’re going to be taken care of. I’ve been taking our cars there for 5 years now, have referred countless friends; everyone has come out with a positive experience. Can’t recommend them highly enough.